There is nothing bad about eating vitamin K foods such as spinach in your diet. 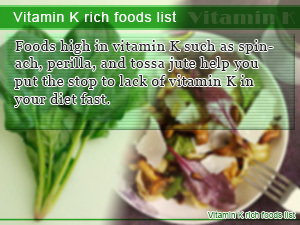 For people looking to thicken their blood increased consumption of vitamin K is a must. Vitamin K foods such Japanese natto or shiso perilla leaves help give you the vitamins you need in your diet to ensure more balanced nutrition. Here are health foods containing vitamin K that should be easy to incorporate into your Japanese diet. Vitamin Kplays an important role in your blood promoting healthy blood clotting. Getting enough sources of vitamin K in your diet affects how you bleed. Sources of vitamin K such as Perilla improve your blood health. For people not sure where to start when looking for Vitamin K Rich Foods, you will be happy to find foods high in vitamin K in the foods you eat. In this diet Slism, we introduce foods containing vitamin K as well as go into discussion on how much vitamin K you should be getting in your diet. Green vegetable and vegetable oil such as perilla oil is said to be rich sources of vitamin K. By eating vegetable products, especially green vegetables you get vitamin K1 and vitamin K2, natural sources of vitamin K in your diet. Is Vitamin K3 Safe to Eat? Although vitamin K1 and K2 are both important in eating a healthy diet, there is also a vitamin K3. However, vitamin K3, a synthetic form of vitamin K is said to be poisonous to a point if over consumed. Here are some natural sources of vitamin K1 and vitamin K2 that may help balance nutrition in your diet. 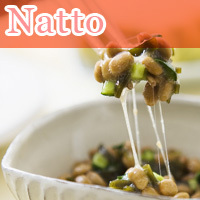 Natto has a firm place in the Japanese diet right next to rice. It is commonly eating during breakfast time. In terms of nutrition, borrowing from protein-rich soybeans, there is a lot to look forward to eating natto fermented soy beans. In the stem of Ashitaba is a yellowish liquid supposed to help aid in dieting. 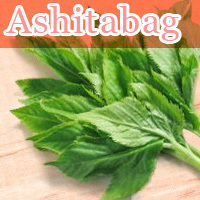 Ashitaba is good for your fat burning metabolism. It is said to be go good with sesame oil based dishes and delicious served next to tempura. With only 5 calories per leaf (15g) it makes a quick fix to add 75μg of vitamin K to your diet. 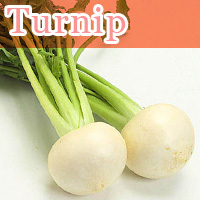 The type of Turnip cultivated in Japan is known as Kabu in Japanese. There are around 80 different species of turnip scattered throughout Japan including well known varieties such as the red turnip and white turnip. The leaf of turnips in addition to being low in calories are said to contain as much as 68μg of vitamin K while only having 4 calories per 20g. 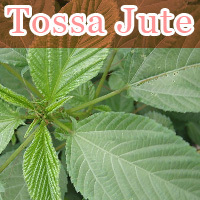 Tossa jute is a rich source of nutrition. In fact, there may be no leafy edible plant with more nutritional value than the Tossa jute. Traditionally it is added to most vegetable and fish dishes. However, do stay away from the poisonous varieties. Edible Tossa jute doesn't contain cardiac glycoside so you can forget about incurring health problems. 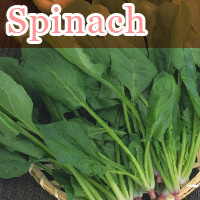 Spinach among being an excellent source of around also holds its weight in vitamin K content. Although usually eaten steamed, it makes an excellent complement to any salad, soup, or pasta. It is a good way to add arrangement without forgetting about nutrition in your diet. Although spinach is one of those foods that have the potential of turning high calorie, it is said to contain as much as 729μg of vitamin K per 270g with only 54 calories. 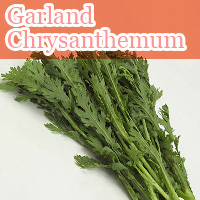 The Garland Chrysanthemum an edible variety of chrysanthemum is well-known for being a low calorie but high source of nutrition. Due to the fact that it contains mostly fat soluble vitamins, nutritional value gets added when adding to cooking, such as a soup or salads. It is the preferred food to be dressed with other foods such as tempura. There are 44 calories per 198g with 495μg of vitamin K.
Shiso also known as perilla is an herb common in parts of Southeast Asia such as Japan. There are different varieties of shiso. Although mostly used for arrangement in food, shiso is a nutritious leaf to say the least. In addition to its culinary uses, it is said to be helpful in treating skin itching and even hay fever. Here are some more vitamin K rich foods to consider. How Much Vitamin K In Your Diet Is Good For Your Health? The recommend daily intake of vitamin K for men between ages 18 and 29 is 75μg and 60μg for women. Vitamin K can be found in greenish-yellow vegetables in addition to vegetable oil and seaweed. It is also produced in the body by gut flora. According to a survey on the health and nutrition of Japanese people taken in 2009 reported that the average consumption of vitamin K for men was 237μg and 229μg for women. There are said to be no negative side effects of consuming large amounts of vitamin K (K1 and K2) in your diet. However for people taking anticoagulation drug, overdosing on vitamin K is not recommended. Foods high in vitamin K such as spinach, perilla, and tossa jute help you put the stop to lack of vitamin K in your diet fast. 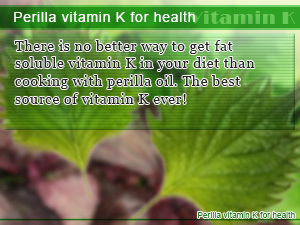 There is no better way to get fat soluble vitamin K in your diet than cooking with perilla oil. The best source of vitamin K ever! 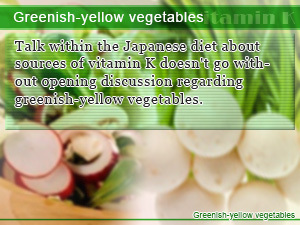 Talk within the Japanese diet about sources of vitamin K doesn't go without opening discussion regarding greenish-yellow vegetables.